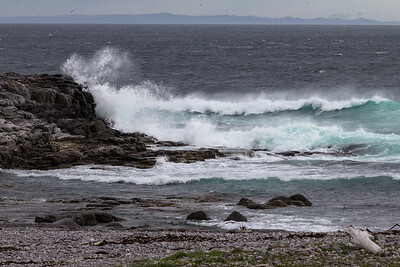 North of Gros Morne the tourist travel definitely diminishes, but the scenery up the Great Northern Peninsula is spectacular and the people we met were all friendly and welcoming. 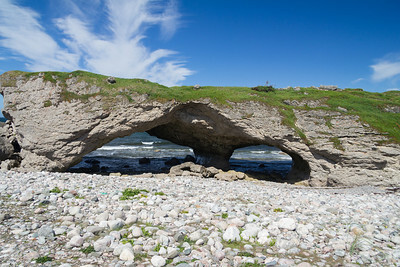 Limestone formation along the shore north of Gros Morne National Park, called the Arches. 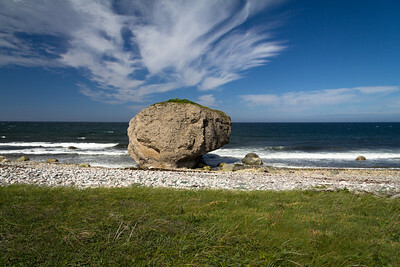 Limestone formation near the Arches, north of Gros Morne. 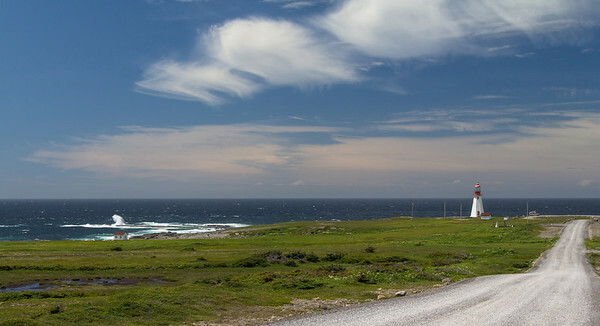 The community of Parson's Pond, north of Gros Morne National Park from a pull out along highway 430. 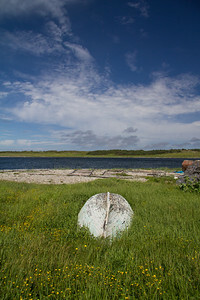 Boat houses in the community of Parson's Pond, north of Gros Morne National Park from a pull out along highway 430. 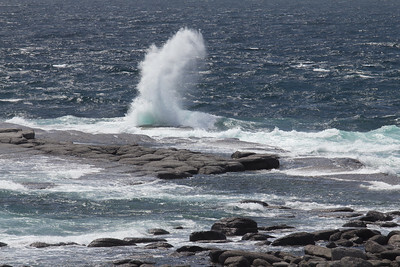 Wave on the rocks at Port au Choix. 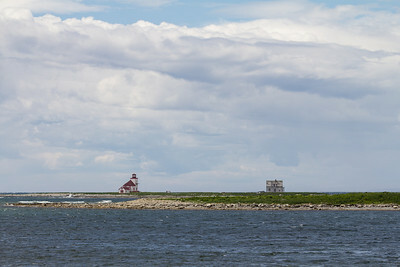 Waves and lighthouse at Port au Choix. 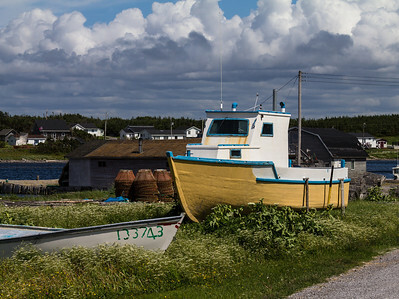 In the village of Port au Choix. 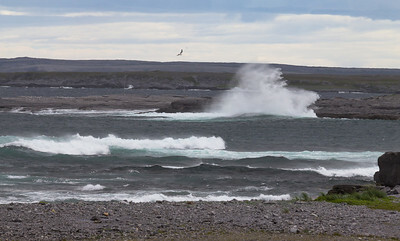 Waves at Cape Norman on a windy day. 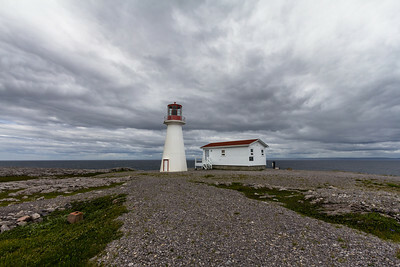 Cape Norman Lighthouse with the Labrador coast in the background.